This year for Florida Bike week I was treated with some bonus fun. On one day when the surf was really high ( 8 footers) , I got to go out with my good friend, Joey Porkchop and hit the surf. 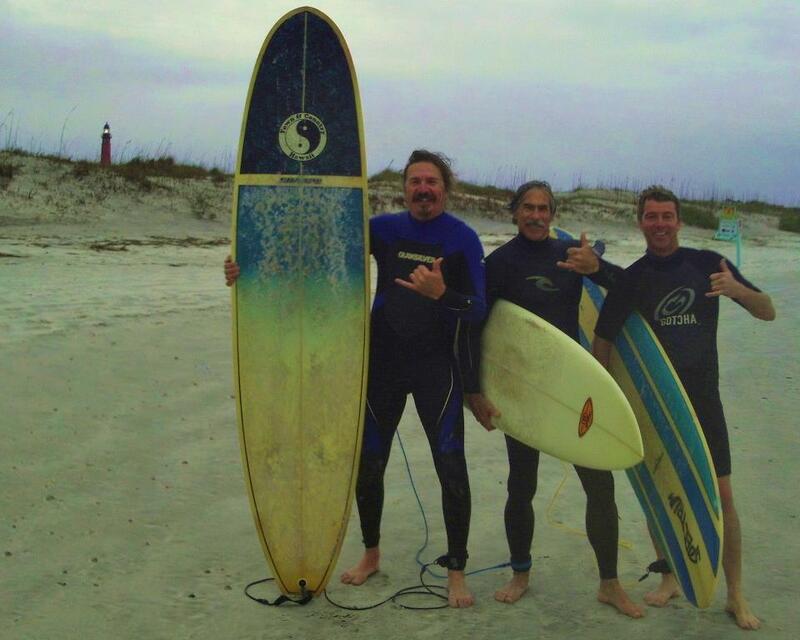 Another friend of mine, Glenn, showed up with a surf board that he bought days earlier at a yard sale for 20 bucks. We got out as the sun was coming up so we didn't even miss anything important except a little sleep. We spent all morning trying to conquer mother nature and I was not near as successful as Joey- He made it look easy! 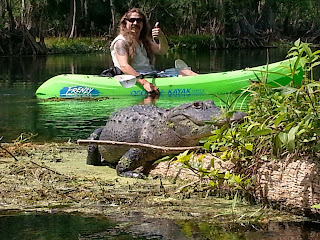 The next highlight was kayaking in the central Florida area 60 miles west of Daytona. My good friends Rus and Nikki at ARNI , took me. ARNI is an organization that is so much more then just an animal shelter. They are also the behind the scene organizers for Willie's Tropical Tattoo Chopper Show. Unfortunatly all the photos that I took on my camera didn't turn out. Fortunate for me though, they lent me a kayak and I went 2 days later with another friend. Now everyone knows there are gators in Florida but it is still pretty cool to get up close and personal with one while you are in a kayak. 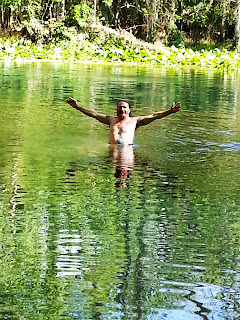 All this gator wrangling made me a little hot so I cooled off with a swim. But even with all the cool alligators, turtles and birds, the real reason I had to come back were for the Reese monkeys. I found out that a colony of monkeys have been living in the wild since they were released after the filming of an old Tarzan movie. Too cool. Everyone that I told about the monkeys didn't believe me. They all thought it was like snipe hunting. THIS is why I had to return and bring another camera. 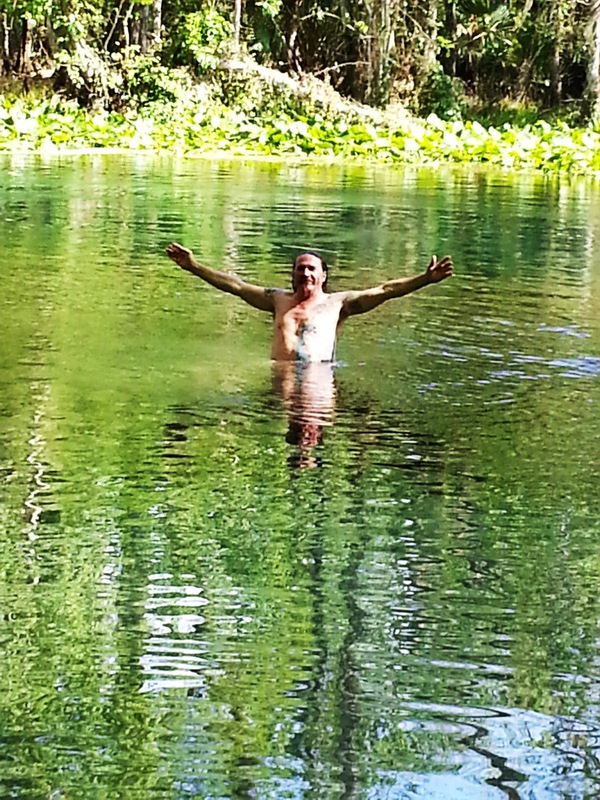 In this day the monkeys were much farther up stream but we paddled the 4 miles against a strong current and found them. We even put some food on our paddles and handed it to them. And this may not be the average person's report on Bike Week 2013 but then again, I guess I'm not the average Bike Week guy. Bean're, for years I've heard of the missing monkeys,but, nobody knew where they were.Now another job description,FINDER of Lost Tribe of Rhesus Monkeys!